Bleak mid winter shots almost devoid of colour hold a magnetic and lasting appeal to me. I think it is because they are amongst the easiest images for me to relate too. 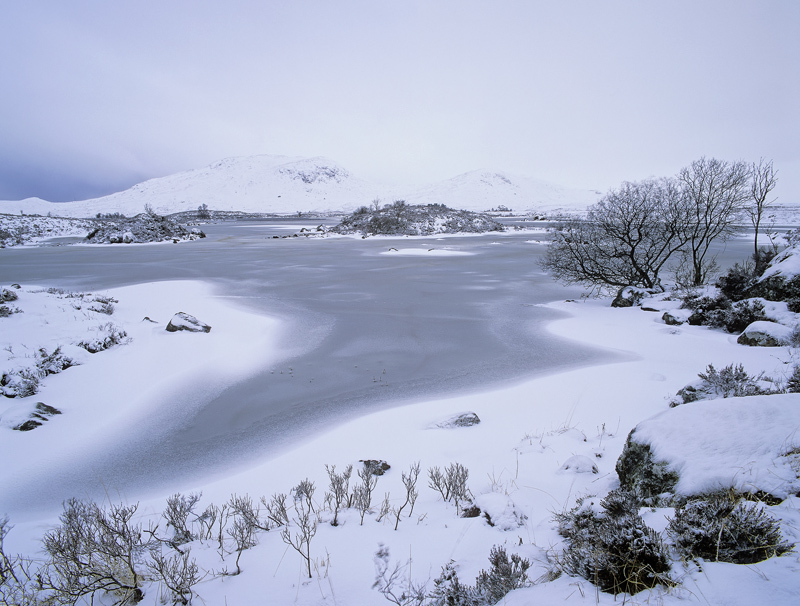 The icy blue cold, constant raw wind and the never-ending sombre atmosphere it creates are delightfully exploited by my choice of recording media, namely Fuji velvia film which handles limited colour with more aplomb than even the human eye is apparently able to resolve. Velvia literally tears two almost identical colours apart deftly splitting them with a seamless colour gradient of supreme smoothness. I will really miss it when it is finally abandoned by Fuji.